ShopWildThings carries the most amazing selection of Floral Garlands and Floral Bunches, you'll be blown away that they are not real! There are places to really splurge on real floral, but these are so great you'll be absolutely proud to have them at your next event. Our Hanging Floral Garlands like Plumerias are spectacular to hang along with strands of our Hanging Floral Garlands to create a ceiling treatment that will literally take your breath away! 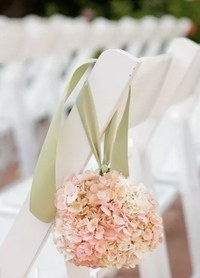 Gorgeous Silk and Real Feel Foam Flowerballs sitting atop elegant Vases create striking centerpieces with minimal effort or you can line a wedding aisle or highlight a garden pathway by hanging from Shepherd's Hooks. 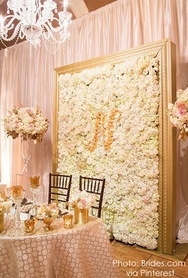 Floral garlands draped on Wedding Arches look exquisite while also creating an ideal photo backdrop! 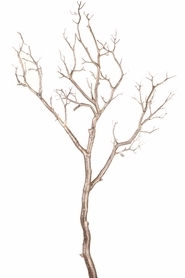 Coming Soon - Spray - Wisteria 44" - White Flowers - Perfect for Draping! 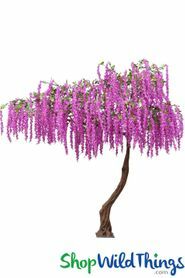 Super Premium Silk Larkspur Waterfall Spray - Ivory 44"
Wisteria Bouquet Cascading Spray - Ivory 44" - BUY MORE, SAVE MORE! Hydrangea & Plumeria Bouquet Spray - Ivory 38" - BUY MORE, SAVE MORE! Plumeria Spray - Bendable Silk Flower Bloom - Ivory 46"
Silk Hydrangea Bloom - White Spray - 8" Flower, 27" Stem - BUY MORE, SAVE MORE! COMING SOON! Silk Tiger Lily Spray - Real Feel - White - 37"
Silk Cabbage Rose Bush - Ivory Spray - 20" Tall - BUY MORE, SAVE MORE! Silk Rose Bouquet - Ivory Spray - 21 1/2" - 7 Heads - BUY MORE, SAVE MORE! Silk Rose Bud - Ivory - 27 1/2" - BUY MORE, SAVE MORE! Silk Roses Spray - 3 Heads - 31" - Off White - BUY MORE, SAVE MORE! 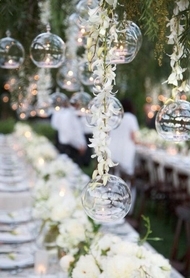 Spray - Wisteria 66" - Cream Flowers - Perfect for Draping! BUY MORE, SAVE MORE! Delphinium Spray - Bendable Silk Flower Bloom - Ivory 32" - BUY MORE, SAVE MORE! 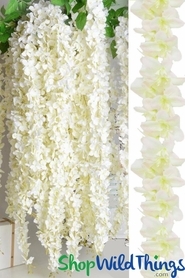 Amaranthus Spray - 46" Dangling Floral Spray - White - BUY MORE, SAVE MORE! Silk Roses Spray - 3 Heads - 31" - Blush Pink / Yellow & Pink - BUY MORE, SAVE MORE! Delphinium Spray - Bendable Silk Flower Bloom - Pink & Ivory 32" - BUY MORE, SAVE MORE! Silk Roses Spray - 3 Heads - 31" - Pink - BUY MORE, SAVE MORE! Silk Tiger Lily Spray - Real Feel - Fuchsia - 37"
Silk Rose Bouquet - Fuchsia Pink Spray - 21 1/2" - 7 Heads - BUY MORE, SAVE MORE! Silk Roses Spray - 3 Heads - 31" - Fuchsia Pink - BUY MORE, SAVE MORE! Silk Rose Bud - Red - 27 1/2" - BUY MORE, SAVE MORE! Silk Roses Spray - 3 Heads - 31" - Red - BUY MORE, SAVE MORE! Super Premium Silk Larkspur Waterfall Spray - Purple 44"
COMING SOON! Silk Roses Spray - 3 Heads - 31" - Turquoise Blue - BUY MORE, SAVE MORE! 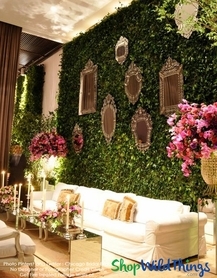 Silk Philodendron Ivy Spray - 9 Stem Bush - 34"
Pepper Berry Vine - Lightly Frosted Green w/Ivory Berries Spray 40"
COMING SOON! 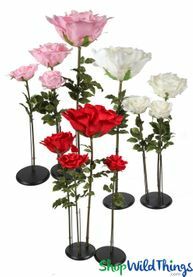 Floral Centerpiece Riser Kit 34-60" Tall - 8 Flower Choices! Plumeria Frangipani Silk Flower Garland Off-White - 80" Long Expandable! BUY MORE, SAVE MORE! Plumeria Frangipani Stacked Silk Garland Pure White - 78"
Flower Garland - Silk Rose - 8' - White - BUY MORE, SAVE MORE! 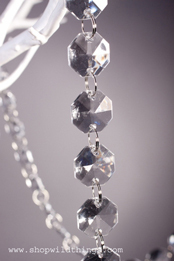 Hanging Dainty Flowers with Pearls "Lea" - White 82"
COMING SOON! Flower Garland with Crystal Beads "Okalani" - White Plumeria 6' 8"
Flower Garland Pearls & Crystals "Malana" - White 30"
Flower Garland with Bead Clusters "Kaleen" - White 70"
Plumeria Frangipani Silk Flower Garland - Mint - 80" Long Expandable! BUY MORE, SAVE MORE! Flower Garland - Silk Rose - 8' - Royal Blue - BUY MORE, SAVE MORE! Flower Garland - Silk Rose - 8' - Aqua - BUY MORE, SAVE MORE! Plumeria Frangipani Silk Flower Garland - Aqua - 80" Long Expandable! BUY MORE, SAVE MORE! Plumeria Frangipani Silk Flower Garland - Blue - 80" Long Expandable! BUY MORE, SAVE MORE! Plumeria Frangipani Silk Flower Garland - Burgundy - 80" Long Expandable! BUY MORE, SAVE MORE! Flower Garland - Silk Rose - 8' - Coral Pink - BUY MORE, SAVE MORE! Plumeria Frangipani Silk Flower Garland - Coral - 80" Long Expandable! BUY MORE, SAVE MORE! Plumeria Frangipani Silk Flower Garland - Blush - 80" Long Expandable! BUY MORE, SAVE MORE! Plumeria Frangipani Silk Flower Garland - Pink - 80" Long Expandable! BUY MORE, SAVE MORE! 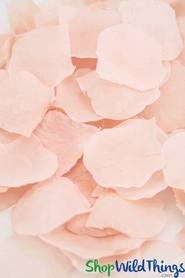 Flower Garland - Silk Rose - 8' - Pink - BUY MORE, SAVE MORE! Flower Garland - Silk Rose - 8' - Fuchsia Pink - BUY MORE, SAVE MORE! Plumeria Frangipani Silk Flower Garland - Fuchsia - 80" Long Expandable! BUY MORE, SAVE MORE! Plumeria Frangipani Silk Flower Garland - Lavender - 80" Long Expandable! BUY MORE, SAVE MORE! Plumeria Frangipani Silk Flower Garland - Purple - 80" Long Expandable! BUY MORE, SAVE MORE! Flower Garland - Silk Rose - 8' - Purple - BUY MORE, SAVE MORE!